Browser Pong - If you've never played Pong before using just your browser windows....you're certainly in for a treat. Move your cursor through the maze - What makes this tricky is that you're not moving a piece in the game around....you're just moving your cursor. The Brainstormer - Having trouble coming up with ideas for your story? Even if this doesn't help spark any 'real' ideas, it certainly gets the juices flowing and is fun! My spins just now? "Reunion, cult classic, and fruit stand" "Madness, road warrior, playground." Colonel Mustard with the candlestick in the library? Woo! History of Rickrolling - No, you won't actually get rickrolled here either. Lots of really cool facts, though. 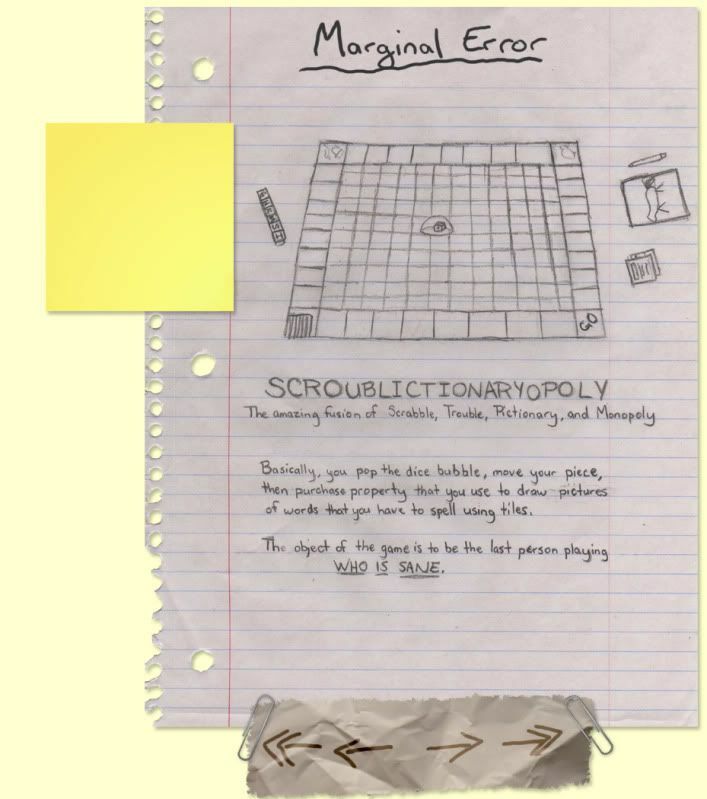 Scroublicitionaryopoly - "The amazing fusion of Scrabble, Trouble, Pictionary, and Monopoly. Basically, you pop the dice bubble, move your piece, then purchase property that you use to draw pictures of words taht you have to spell using tiles. The object of the game is to be the last person playing WHO IS SANE." 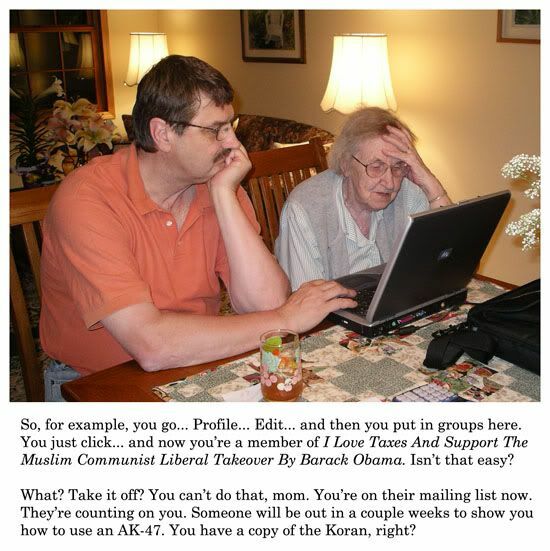 Now you're a member of I Love Taxes and Support the Muslim Communist Liberal Takeover by Barack Obama" You do have a copy of the Koran, right? The Flame Art is pretty cool! Thanks for sharing.